Mana Island is one of Wellington’s oldest preserved marine terraces. Formed during an interglacial period 200,000 years ago, it now sits 398 feet above sea level at its higher northern end and 291 feet at the southern end. 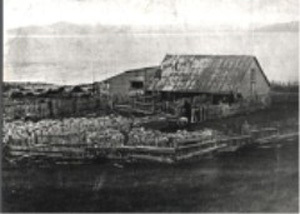 Mana Island has seen many changes in its colourful history, beginning with Kupe’s visit, early Maori settlement, European visits and later whalers, to John Bell’s first farming efforts, John Wright’s and the Vella family’s long association with farming the island, the Gault family, and then being a research and quarantine station. With the guiding hand of the Department of Conservation and the help of Friends of Mana Island, the island is now reverting to how it was prior to human settlement. The island provides shelter to many special insects, reptiles, birds and plants. Its surrounding waters have an abundant sea life. The island’s Cook Strait giant weta, deinacrida rugosa, is believed to be the world’s heaviest insect. The McGregor skink can be found in the shingle on the beaches, and the gold stripe gecko can be found in the flaxes in the wetland. There are 39 bird species on the island, which have the added chance of survival due to it being a rodent-free domain. The endangered Cooks scurvy grass, ngaio, taupata, manuka and kanuka all contribute to Mana’s floral diversity. 700-900 Kupe visits Mana Island and names it “Te Mana o Kupe ki Aotearoa”. Kupe and his party were probably the first to set foot on the island. They ascended the higher northern plateau naming it “Matakitaki” because of its wide views. In English, Kupe’s name for Mana Island means “the ability of Kupe to cross the ocean to Aotearoa”. 900-1100 Tini-Maruiwi, Waitaha and the Ngati-Mamoe tribes from Old Polynesia are all in the greater Wellington area hunting moa and other birds, and fishing. 1100-1300 Mana becomes part of the occupied area of the Ngati-Tara and Ngati-Ira tribes. 1300-1823 Wellington to Manawatu is the territory of the Rangitane tribe. 17?? Captain James Cook, on board the Endeavour, views Mana and names it “Table Island” for obvious reasons. 1800-1820 Whalers in the Cook Strait consider Mana a favourite island resort, stopping for shelter, trading, and using Mana’s vantage points to spot whale spouts for hunting. They have names for the island too – “Manno, Manna and Marna”. Whalers set up on Mana and use the foreshore area to boil down their whale blubber. There is no shortage of driftwood for a fire. 1820s The Ngati Toa tribe, led by Te Rauparaha, migrates south from its ancestral grounds around Kawhia Harbour. This movement was known as the Heke Tahu-Tahu-Ahi. 1822-23 The tribes from Raglan and Kawhia conquer the Rangitane lands. Te Rauparaha’s nephew, Te Rangihaeata, settles on Mana Island which is owned by these Ngati Toa chiefs and the tohunga of the tribe, Wataruihi Nohorua. 1827 Captain Dundas, in command of the HM Warspite, visits Cook Strait and names the island after his vessel “Warspite Island”. A whaler, William Cooper, visits Mana Island and moves to the southern end of Porirua. He starts a boat building business. Many of his boats are used in the sea between the island and the mainland. 1832 Three Sydney merchants – John Bell, Archibald Mossman, and Alexander Davidson, master of the whaling brig William Stoveld – buy Mana Island from Ngati Toa. They send an American, George Ross, to take possession. In exchange for the island the chiefs are given one six-pound carronade, two swivel guns, two kegs of gunpowder and two chests. In the next two years, George Ross establishes a whaling station north of Te Te Rangihaeata’s island pa, “kai-tangata” or, in English, “eat man”. John Bell has 103 merino sheep, 10 cattle, and 2 ‘/2 ton of hay, seed, fruit trees and tobacco delivered to Mana Island, aboard the Martha. Farming begins on the island. The cattle are used to supply milk and beef to the whaling trade, which by this time has become a fairly large industry. Te Rauparaha sends a tohunga to make the stock and certain areas tapu. In return for placing this prohibition on land and stock, Bell assures the Maori of their ancient right to take fish and shellfish from the waters around the island. This also includes the taking of up to 300 mutton birds from their breeding grounds on the northern parts about the cliffs. A successful whaler from Marlborough, Joseph Toms, sets up a whaling station at Porirua Point where Ngati Toa domain is today. 1834 Mr and Mrs Bell arrive with 9-year-old Johnny Knocks, an Australian boy of German descent, on board the whaling barque Caroline. The Bells are known to be alcoholics and are hoping to dry out and get a new start on the island. They have shifted from Sydney to manage and develop the farm on Mana Island which John set up two years earlier. Johnny’s parents are both dead and, at the time, he was the only Pakeha child in the area between Mana and Kapiti Islands. Among their cargo are two large horses which are the first to run on the island. The Bells have a thatched-roof house built on the southern most side of the island, not far from the pa. They fill their house with furniture and other household fittings. John has also brought many farming items, tools, ducks, geese, poultry and two farm servants. 1835 A small amount of wool is exported to Sydney. This is the second wool export from New Zealand, after a smaller amount two months earlier by Captain Clendon on board the Fortitude. Captain Clendon’s load most likely came from the mission in the Bay of Islands. John Bell’s wool was carried aboard the brig Children, and fetched 21/4 pence per pound, more than Australian wool, which testifies to its quality. 1836 A Maori chief is killed by a lance during a scuffle over trading, while aboard the whaling barque Caroline. This is probably what triggered the years of tension between Maori and Pakeha in the area. The Minerva captained by Leslie, lands at Sydney with four bales of excellent quality wool from Mana. 1838 Captain Samuel Cherry is killed at Mana. Some say in retaliation for the death of the Chief nearly two years before. 1838 John Bell dies suddenly. No planks can be found for a coffin, so an old friend from Dundee, “Scotch Jock” Nicol and Johnny Knocks bury him in a rum barrel on the island. The Fraser brothers, Alex and Thomas, from Sydney, are sent by their boss, Frederick Paterson to manage the whaling station and farm, after buying out Bell, Mossman and Co. Mrs Bell never overcame her grief at her husband’s death. 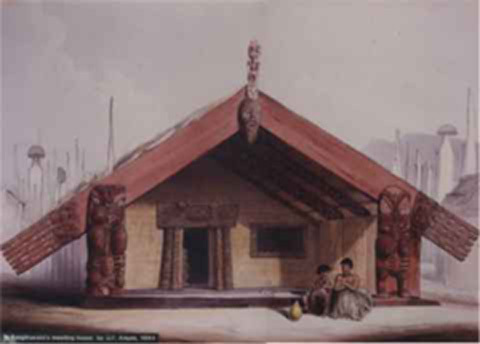 It is said she became one of Te Rangihaeata’s wives and was taken to live at one of his mainland pa. There she is treated as a slave. Johnny Knocks moves to Tokamapuna Island with Captain Tommy Evans, the renowned whaler. In October, Waitohi, the eldest sister of Te Rauparaha and mother of Te Rangihaeata dies. Her tangi is held on Mana. The last inter-tribe battle takes place at Waikanae afterwards as Ngati-Raukawa attack Ngati-Awa en route home. It is witnessed by Johnny Knocks and others from Tokamapuna from boats off the beach. Colonel Wakefield sails past Mana that same day on route to Kapiti. On behalf of the New Zealand Company, he meets with the prominent chiefs and, after lengthy talks, they sign his land sales agreement. Both Mana and Kapiti Islands are with the “Tory” and he travels the length of the North Island acting as an interpreter, witnessing negotiation with Maori chiefs and William Wakefield. The HMS Calliope shelters at Mana while in the Cook Strait area. 1840 Mrs Bell is taken back to the pa at Mana. Major Bunbury, aboard the HMS Herald, stops at Mana hoping to settle a dispute with the whalers and Maori. During May, Thomas Bell, (father of John Bell), and Frederick Paterson transfer their interest in the island to Henry Moreing. Whaler Jock Nicol marries Kahe Te Rauoterangi, a daughter of the Ngati Toa Chief, Te Mataha. Kahe is known to the whalers as, “Betty”. The identical Fraser twins build a schooner and name her Mana. They also stock their other North & South Island sheep runs with merino sheep from the island. 1843 Te Rangihaeata leaves Mana and never returns. He takes a prominent part in the Wairau affray on 17 June, and sets up Matai-Taua at the head of the Pauatahanui Inlet. When finally routed from there he retreats to Porotawhao and his hapu, the Ngati-Huia. The whalers are still operating two boats from their Mana Island station. The early Scottish whaler, Jock Nicol, and his wife, Kahe Te Rauoterangi, leave Mana and establish an inn at Pukerua Bay (Pukerua Bush). The Wellington militia fight with Te Rangihaeata in the Horokiwi Valley. He retreats further up the valley. 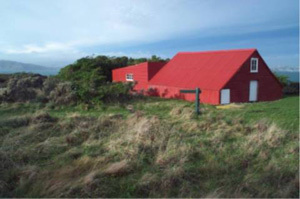 The Paremata barracks are completed next to Tom’s Whaling station at Porirua Point. A large earthquake rocks the entire Wellington area. The first train is heard and later in the year, seen from Mana Island as the tracks head north through Paremata, Plimmerton and Pukerua Bay. Another large earthquake rocks Wellington. In keeping with the British Government’s policy to investigate all New Zealand land sales made prior to the Treaty to Waitangi in 1840, Mana Island ownership soon comes under crown scrutiny. The original purchase, if it ever was a purchase, from Te Rangihaeata, was claimed to have been made in 1839 by the Fraser Brothers. A man named Moreing claimed to have bought the island in 1841 from a conglomerate of inheritors and purchasers after Bell’s death. The court decides in favour of Moreing and officially purchases the island from him. Because of the Ngati Toa conquest in 1823, the Crown considers one way or another that they are the rightful owners so payment is arranged. Te Rangihaeata dies at Otaki after suffering from the measles. In December the three leading Ngati Toa chiefs, Hohepa Tamahengia, Tamahina Te Rauparaha and Matene Te Whiwini, sign a Crown purchase agreement and are paid 300 pounds. The court orders that this money be fairly shared out among the 81 members of the Ngati Toa tribe. In comparison with earlier New Zealand land sales and this sale, the money from the purchase of Mana Island was shared by the whole tribe. In most early land sales only the paramount chief received payment. 1863 A light and tower, with all accessories, are shipped from Pimlico, London. The lighthouse is erected on the northwest corner of the island. This becomes the second in the Wellington province. The overseeing is supervised by Richard Ayiner from the Marine Board. 1865 The lighthouse is lit for the first time. Mana Island is taken over by the provincial government and becomes Crown land. Mana is offered up for leasehold at 1 pound per week for 21 years with rights of renewal. 1873 The first official lease is issued to John Fortescue Evelyn Wright of Island Bay on 21 January. The lease of the island excludes the five acres where the lighthouse stands and the Crown clearly states that at any time the island could be taken back for defence purposes. John Wright begins farming the island again. 1877 The lighthouse is extinguished after confusion over this light and one on the south coast of Wellington. It is replaced by another light on “The Brothers” rocks on the western side of Cook Strait. 1881 The lighthouse is dismantled and winched down the cliff to a waiting ship and shipped to Cape Egmont in Taranaki. 1886 The Vella family commences almost 70 years of farming the island. An original 30-foot open whaling boat was still in use, a reminder of those early pioneers on the island. Mariano Vella sets up in a small hut, which had been used by the shepherd of the outgoing tenant. Timber from the old lighthouse keeper’s cottage is used to construct a homestead on the south-east side. 1887 The Vellas construct the woodshed which still stands today. A Maori canoe is washed up on the island. Mariano splits it to make fence posts. Wharves are built at Paremata and the first ever on the island. Until now all boats were run up to the beach and planks of wood laid between the boat and shore. 1893 The Government declares the island as a defence reserve. 1894 Mariano Vella marries Elizabeth Tarabochia in Trieste, now part of Italy. On their return, aboard the SS Wairarapa, the vessel wrecks on Great Barrier Island. This still stands as New Zealand’s worst shipping disaster, which claimed 135 lives. The manager, who Mariano had left on the island, was worried at the Vella’s lateness so he headed for Paremata in the 30-foot whaleboat. He never reached the harbour and both boat and man were lost at sea. Mariano runs 1000 breeding ewes and 150 head of cattle on the island. With the increased stock, mainly due to the island being heavily top dressed with fertiliser, shearers have to be brought over to the island. The areas which had been “Tapu-ed” were known to the Maori among the shearers and musterers, who flatly refused to work on them, least they should violate the tapu restriction and thus incur the wrath of the long dead tohunga. 1907 The ketch, Emma Sims, is wrecked on the south-east end of the island. No loss of lives, but the vessel will never sail again. Another tragedy that year was the death of Ida, the Vella’s eldest daughter. The last whalers are seen coming around the island. 1909 Bill and Andrew Vella are left to farm the island for six years while the rest of the Vella family visits Europe. Bill Vella shears 300 sheep in one day, with the blades. This was, at the time, reputed to be a world record. The Vellas leave Europe as the news of large scale war reaches them. This war, World War I, never followed them back to Mana, but was felt with the loss of some local lads who never returned from the fields of Europe. The influenza epidemic claims the life of Geovanni (Jack) Vella aged 22. He dies at the Vella homestead,”Sockel”, in Plimmerton which they bought on their return from Europe. The iron screw steamer, “The Queen of the South”, which served Mana for many years is stranded on a reef near Cape Campbell lighthouse and is lost. 1929 Mariano transfers the island lease to his son Andrew Vella and later that year, 5 September, dies aged 74 years. Andrew continues to farm the island and builds a house and yards at the north end of Titahi Bay, known as Vella Street. 1951 On 9 August Andrew Vella dies aged 67. Jacko Love with several helpers including Mahu Wineera continues to farm Mana. 1953 Mana has a new lease owner, a Wellington Solicitor Ian Gault, who buys out the lease for a perpetuity of 999 years. His son John Gault manages the farm. The Gaults paid 9500 pounds for the lease. John farms 12-1300 sheep and 90-100 cattle. 1959 “Vella of Mana”, is documented by Elizabeth Vella, daughters Metty and Arintonia and son Marino, in an effort to recall the family’s long association with the island. 1960 John Gault marries Margaret Clark. During their time on the island they raise three children. Mana Cruising Club, to which the Gault family is affiliated to, comes to Mana for annual picnics. 1971 The Gault’s lease is cut short and the island is administered jointly by the Lands and Survey Department and the Ministry of Agriculture and Fisheries. Mr Barry Turner, Porirua Harbour Master, ferries personnel and equipment out to Mana, averaging 12 trips per week. 1973 The Ruakura research station controls the island as a sheep research and quarantine station. The officer in charge of the Ministry of Agriculture and Fisheries research project is Mr T G Harvey. His wife, two children, head technician D Wise and wife Pam, and Jack Howarth are all stationed on the island. 1976 The sheep population is 2500 and well behind this at lambing stage. The island has two windmills which are installed to pump water from 100 feet below the surface. On 28 September there is the first suspected scrapie outbreak. This is kept quiet. The affected sheep are killed and burned with the help of 10 tons of coal, 80 tyres, 15 cord of pine, 58 bails of straw and 30 gallons of diesel. This was the amount of fuel estimated needed to burn 280 sheep. 1977 The Porirua City Council closes the street reserve between the shoreline and the unsurveyed reserve at the south-eastern side of the island. The 20 metre wide strip was deemed legal road and had been vested as a public street in the city of Porirua. 1978 Suspected scrapie disease is found in some of the exotic sheep. The island’s total flock of 2000 sheep is destroyed. Only once before in New Zealand had there been an outbreak of the scrapie disease occurred that was reported. That was in Canterbury in June 1952 when 380 suffolk sheep were slaughtered. For five years strict quarantine regulations are imposed by NZ Lands & Survey Department. They establish a temporary cattle farm and set up a land-use study of the island. Minister of Lands, Mr Venn Young, suggests that total revegetation of the island may be the answer. The Commissioner of Crown land for Wellington at this time is Mr Frank McMullan. Jake Jacobs manages the farm for Lands and Survey. 1985 Lance Payne is the manager responsible for the removal of the cattle and the start of the fence removal. 1986 Payne leaves Mana Island. The proposal that Mana Island is reverted to bush and forest filled with bird life is submitted by Lands and Survey to the Ministry. Trevor Hook, Jann and Gerrard become the island managers. Farming on the island ends and the remaining livestock is removed. 1987 Mana Island is named a scientific reserve and is under the wing of the new Department of Conservation, DOC. The first of the tree planting starts. Takahes are introduced. 1988 Phil Todd who begins his work on Mana as assistant manager, gives Mana Island a boost in its second year of revegetation. To date 41,000 native trees have been planted. The first takahe chicks are born. Over this three-year period there is a major mouse eradication programme, freeing the island of introduced mammals. There are 5500 bait stations spread across the island, spaced at every 50 metres. The whole eradication program is done with help from Conservation Corps, Forest & Bird and DOC staff. After the last mouse is caught the island is declared rodent free 18 months later. Mana was the largest island to be cleared of mice in the world at the time. At the back door of one of the houses on the island, using a simple bucket trap, 204 mice were caught in one night. 1992 Two kakapo are released on Mana Island. One dies soon after and the remaining one dies two years later. A little spotted brown kiwi is released on Mana Island from Franz Josef. 1993 The planting programme reaches a milestone with the planting of the 150,000th tree, which is followed by the cutting of a cake. Trevor and Jan Hook leave Mana. Phil Todd is appointed to the manager’s role and his partner Tina Wyatt joins him on Mana. The Mana wharf is removed. Gold striped geckos are rediscovered on Mana. Boxthorn removal begins. 1994 Another little spotted (Okarito) brown kiwi is introduced to Mana Island as a mate for the Franz Josef kiwi. Jason Christensen starts work as the new assistant manager. Control of the black-backed gull starts on Mana to give other seabirds a chance to recover. 1995 North Island robins are re-introduced from Kapiti Island. Twenty-seven are released. A record number of trees are planted, with the island nursery in full swing with the help from Jason’s nursery background. 27,200 trees are planted in one year from the nursery. 1996 Phil Todd and Tina Wyatt leave the island. Jason Christensen is appointed to Field Centre supervisor. Grant Timlin starts as assistant supervisor. The concrete gannet colony is set up on the island. Cook Strait Giant Weta and Wellington tree weta are translocated from Mana to Matiu/Somes Island. Brown skinks discovered. 1997 The new concrete gannet site is set up. DOC staff chase off a knife welding paua poacher. The first of a three-year transfer of diving petrel chicks from the Brothers Island to Mana Island starts this year. This year is the 10th anniversary of tree planting on Mana and, to celebrate it, there is a ceremony with the planting of the 250,000th tree on the island. 1998 Wellington green geckos, Duvaucel’s geckos and spotted skinks are released. An historic day is held on the island with lots of the old farmers and their families. This year sees heavy machinery on Mana Island to create the Waikoko wetland to enhance the habitat for the water species to be introduced later on. There is a D2 bulldozer and a 7 ton digger and a Mack truck on the island for six weeks. Friends of Mana Island is formed on 14 December 1998. 1999 The last of the diving petrel chick transfers happens this year. It also sees the first chick being totally raised on Mana for many years. This is the turning point in the petrel project with the hope of a self-sustaining population again on Mana. The Mana Island Ecological Restoration Plan is published. 2000 Brown teal are released. 2001 Captive-reared brown teal are released in the Waikoko wetland. 2002 First fairy prion chick translocation. 2004 Speckled skinks, yellow-crowned parakeets and flax weevils are released. Fairy prion chick translocations are completed. A second diving petrel colony is discovered on the island. Initiation of interplanting of canopy tree species. 2005 First breeding by yellow-crowned parakeets and fairy prions. 2006 First fluttering shearwater chick translocation. First release of Wellington speargrass weevils. 2007 First release of shore plover (captive-reared). First breeding by shore plovers. 2008 Fluttering shearwater chick translocations completed. 500,000th tree planted. 2010 Bellbird and whitehead transfers to Mana Island. 2012 20 Rowi released, bellbird transfers, concrete gannet colony is relocated. 2013 Whitaker’s skink monitoring starts at Pukerua Bay with the aim of translocating skinks to Mana Island. 2014 More green gecko are released. 2015 Fairy prion translocation of 100 chicks. Forest (Ngahere) gecko released on the island. 2016 Fairy prion translocation of 100 chicks. A gannet (Nigel) builds a nest at the concrete gannet colony. FOMI offers a full schedule of guided trips to the island for the first time. A self-guided trail with brochure is developed. Guide book is published for guides to lead trips. Mana Island’s floral diversity enhancement report is completed. 2017 More Ngahere gecko are released. A second gannet joins the colony, nicknamed Norman, but he only stays a short while. A flax trial is set up to monitor the impact of the flax weevil. Three new gannets join the colony in December. Display panels are installed in the woolshed. 2018 This year is Friends of Mana Island’s 20th anniversary. Nigel, the first gannet to settle on Mana Island, dies in January attracting significant international media attention. Waikoko wetland enhancement project is started. Work begins on the planned white-faced storm petrel translocation.